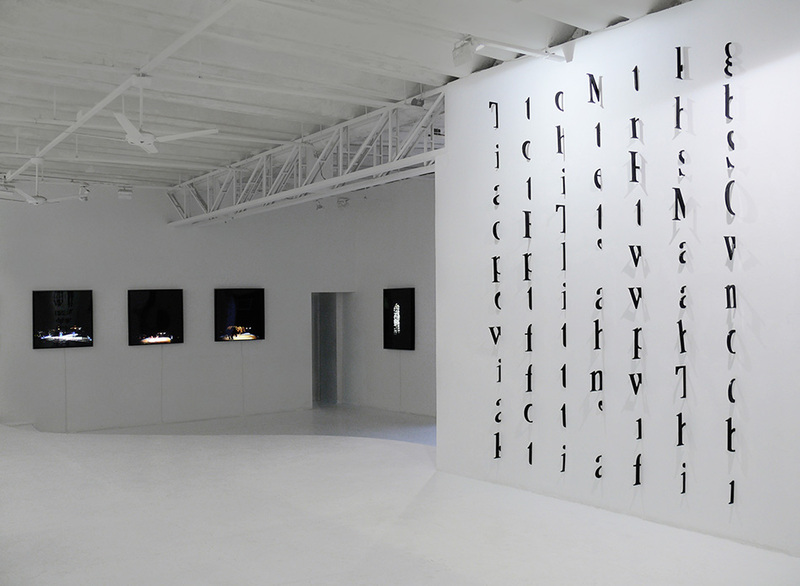 In Untitled (letters on the wall) the letters have a physical presence in the space, as if they were elements inhabiting a concrete world. The starting point from this work was the book The Sheltering Sky (by Paul Bowles). 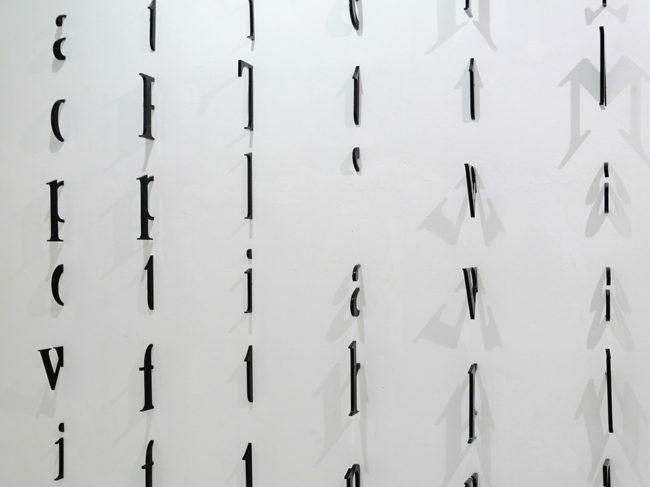 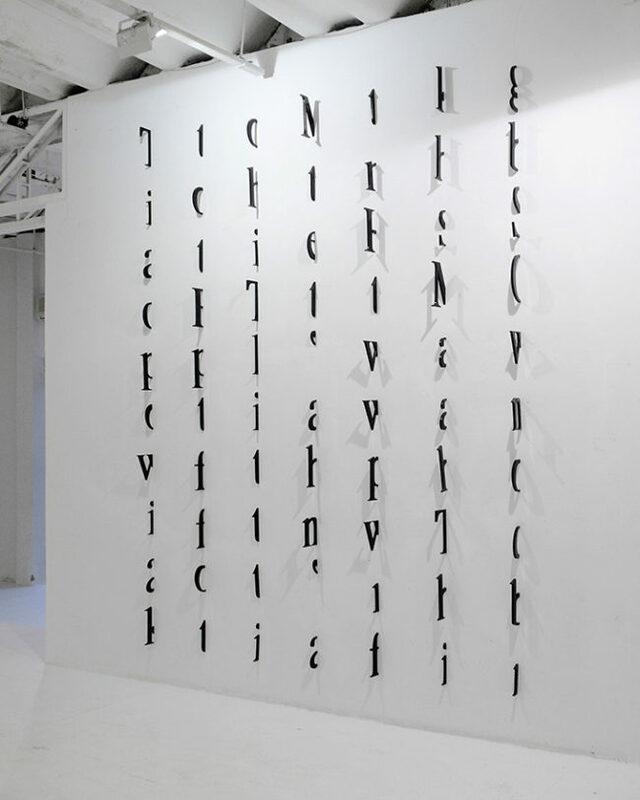 Each column of letters in the work corresponds to a page of that book, as if the pages could penetrate the wall, leaving behind only part of the first letter of each text line.